Disclaimer: I haven’t read the book. 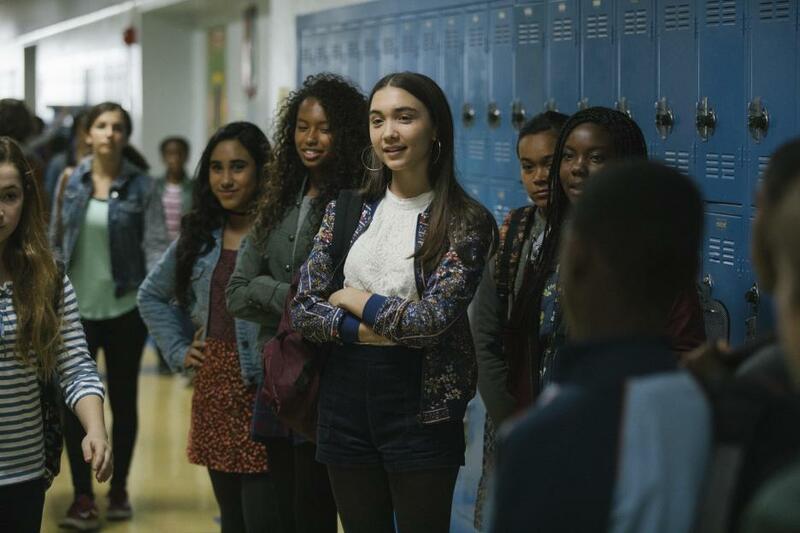 That may stop you from reading this review, but it shouldn’t, because this movie is magical—like, literal black girl magic on the big screen. That’s my primary investment in this story, if I’m perfectly honest with you. 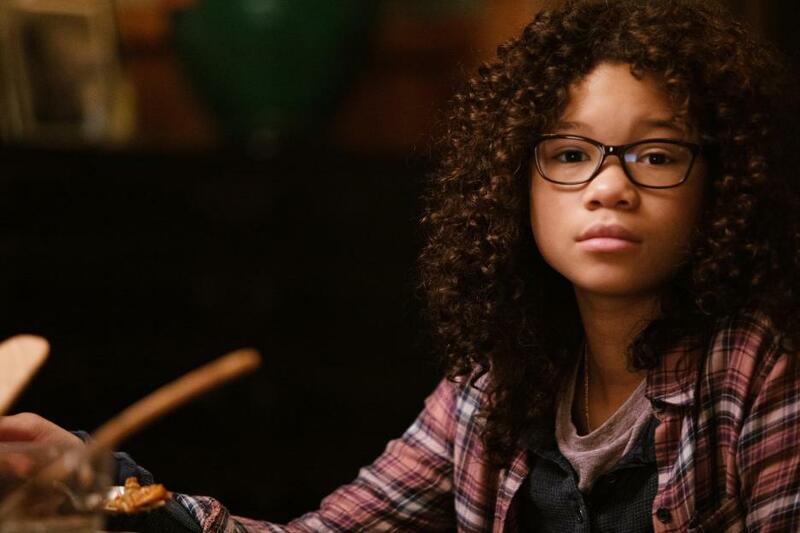 I have friends who are excited to see this movie because the book meant a lot to them in their childhood, but while they were praying to director Ava DuVernay to pay proper respects to the book, I was thanking her for making the lead character a cute, smart black girl with glasses and natural hair. With the exception of Pixar’s Home, I can’t recall a story with a lead character who looks like Meg. Maybe Telltale’s Walking Dead, but that’s not exactly kid friendly—most parents aren’t sharing tender moments of a little black girl deciding whether or not she should shoot her father figure during the zombie apocalypse. (I think? I don’t have kids, so I dunno.) My point is that I can’t think of a PG-rated property where the main character looks like, well, me circa 1990-something. 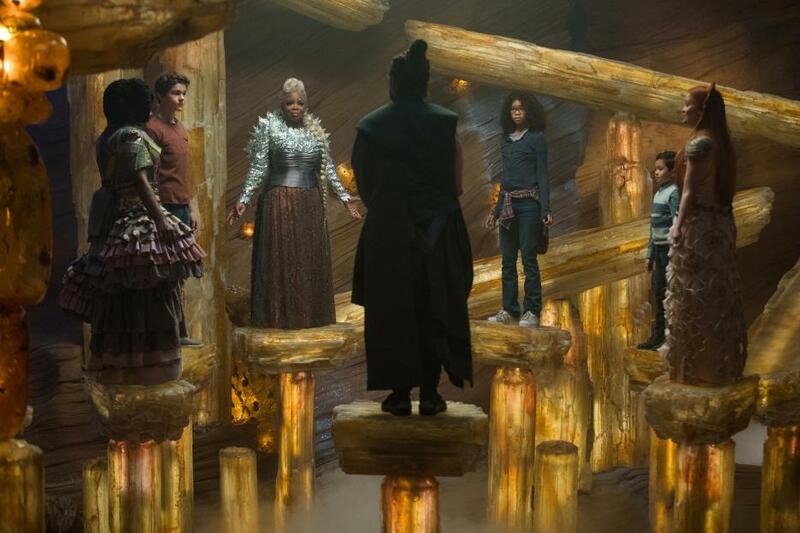 A Wrinkle in Time is basically the kids’ movie I grew up with, the “Let’s go on an adventure” story where a group of children discovers worlds full of trippy visuals that you’d go out and pretend were real after the credits. But in the movies I grew up with, the girls were rarely the primary heroes of the story—they may have been part of the ragtag team, but their growth and development weren’t priority number one. They didn’t get to have that final epic moment against the Evilest of Evils Like Seriously This Is Evil; that was for the boys. Boys got to be the main cool while girls got to be the side cool . . . unless we’re talking Sweet Valley High, where, yes, girls were front and center. And in those classic childhood gems we hold dear, the chances of seeing a black girl who was anything but an extra were slim to none. 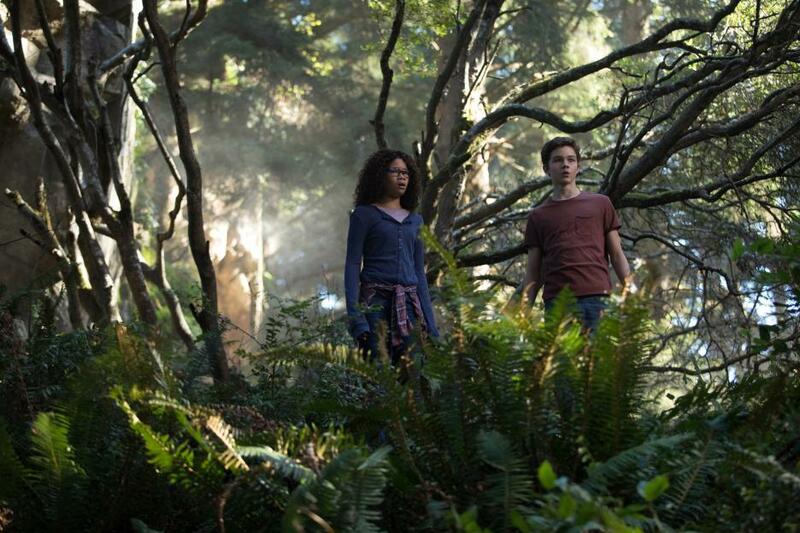 So here’s Wrinkle in Time, a story about a black girl dealing with the disappearance of her father along with all (and I do mean all) the baggage that entails, including bullying at school, teachers who don’t really know how to approach the subject, a quirky little brother who means well but can be a bit much, an exhausted mom, and the general sadness she feels from it. Meg’s kind of been beaten down, and all the childlike wonder she had has been replaced with cynicism and lots of rainy days. This spoke to me, because I lost my brother when I was 13, and I can attest to the awkward school encounters and the random rumors when an entire student body doesn’t know how to deal with the girl who was out for a week because she was at her family member’s funeral. But hope comes in the form of Mrs. Who, Mrs. Whatsit, and Mrs. Which, otherwise known as “You don’t need to cosplay them, Bri—oh god, you’re gonna cosplay them, aren’t you?” They tell Meg that her father is alive, and bam, it’s time to go on an adventure. The movie basically follows the kid-movie formula you’d expect, especially if you grew up in the ’80s: the adults are the guides, but they aren’t gonna be the ones facing the ultimate evil. (They’ll keep you in their thoughts, though.) The big baddie here isn’t actually a person; it’s a concept that people are hesitant to talk to kids about, which in this is case darkness and negativity. The main character finds the strength of heart to win the day, and . . . you know, I’ve seen this before, as a kid and as a not-so-cleverly-disguised adult. 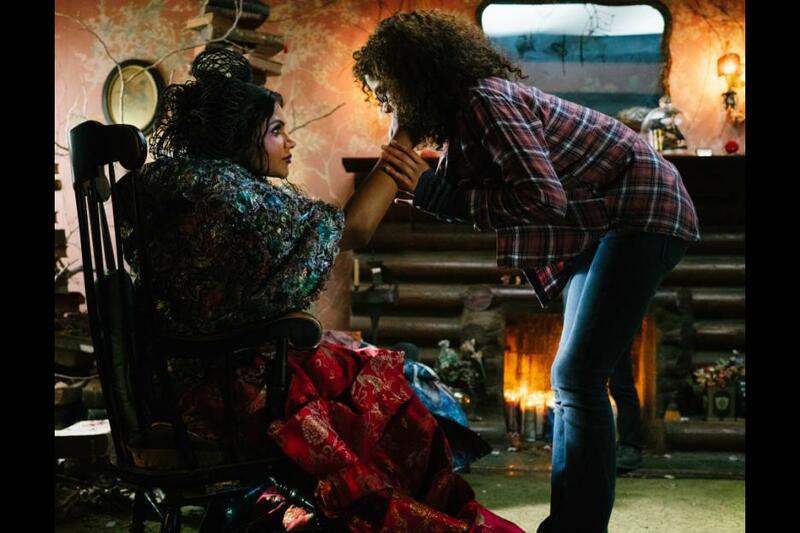 But it makes all the difference that this story is told with a black-girl lead. It adds something new to the formula, and certain lines have more weight to them. Like telling Meg that her hair looks nice. Or telling Meg that she’s fine just the way she is. Or having Meg be the one who has that final, epic moment. We may have had these messages handed to us before, but never with this kind of character. We’ve seen white boys being encouraged to believe in themselves—and relax, Chad, because I’m not saying that’s a bad thing—but awkward little black girls? Not so much. Not in this kind of story, anyway. I watched a number of black family sitcoms that spread that message, but big-budget stories in which characters could fold time to enter worlds where communicating with flowers was seen as the norm? When you’re an awkward, nerdy black girl with a Super Nintendo and a stack of Sonic the Hedgehog comics (don’t judge me), this is the kind of movie you want to see. I can only imagine my reaction to this had it come out when I was Meg’s age, but I can tell you this: my almost 35-year-old self shed plenty of tears in the IMAX theater. That’s great and all, but you’re probably wondering if the movie is, you know, good. I think it’s wonderful. I think it calls back to those kid movies from back in the day that make great one-shot stories—though this is a book series, so more stories could be told. I think kids will love it, and for adults, well, it’s a good opportunity to remember the days of pretending your backyard was a mystical world or the top of the slide at the playground was a castle. It’s a movie with a lot of heart and gorgeous visuals, and you’ll leave the theater feeling good about yourself. And to me, that’s the entire point. Go see it. Then go play in your backyard—maybe after the snow melts. I’m seeing it with my dad this weekend (and should have my own review up on Monday). I’m glad people are enjoying it, though! Especially in the wake of Black Panther; that is an insane movie to be in the theaters with.